2001 Coachmen Catalina RV with 12 x 22 covered deck. 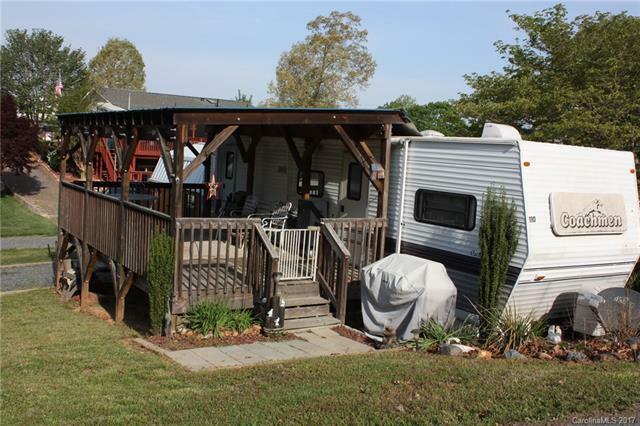 2 bedrooms, 1 queen bed, 1 bedroom has criss- cross bunks, microwave oven, AM/FM cassette w/cd, Hardwood raised panel doors, 6 gal water heater.Property is located in Badin Shores Resort. Amenities at Badin Shores include 24/7 security,gated community, pool, private beach, laundry facility, game room, volleyball, basketball areas, lighted boardwalk, clubhouse, marina, picnic areas and fishing pier. You can also ride golf carts on streets.